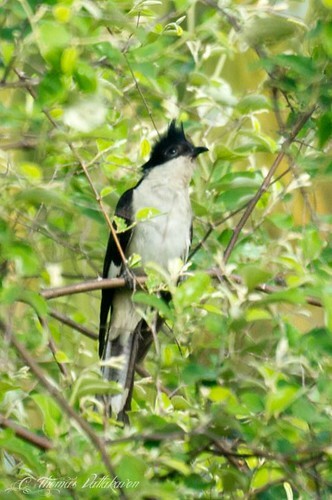 The Pied Crested Cuckoo (Clamator jacobinus) is also known as the Jacobin Cuckoo or Pied Cuckoo. 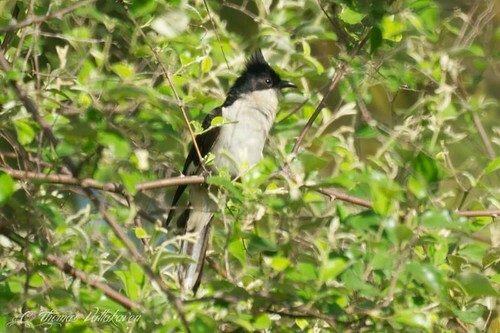 It is the 5th species of Cuckoo to be featured here. 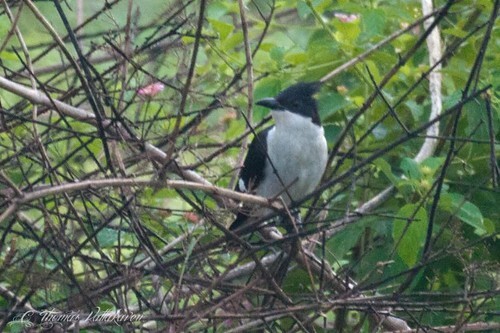 It is a black and white bird, easily distinguished by its crest. The upper plumage is all black, including the street. There is a broad white band running through the wing. The under parts are all white. The long tail is graduated and tipped with white. The bill is black, feet bluish black and the iris is reddish brown. 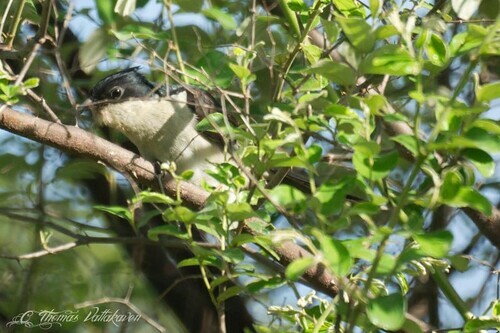 This bird is distributed across India and Africa. The East African population migrates to India during April. 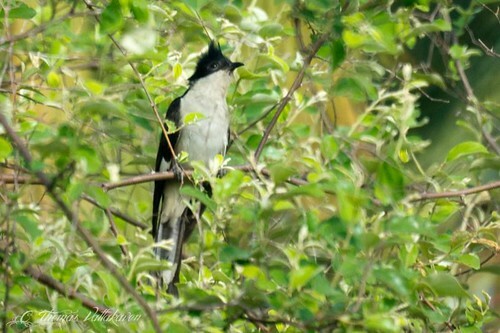 The resident population in India is thought to be found only in South India. They prefer dry open woodlands, groves and gardens. It never descends to the ground. They feed on hairy caterpillars and fruits. 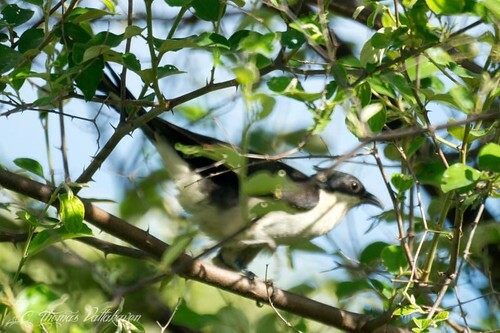 Like most other Cuckoos it is a brood parasite on babblers and crow nests, destroying one or two of the owners eggs before laying two or three of its own. Majority of the eggs are laid in June. The young birds have darker plumage than their parents, evidently in order to deceive their foster parents. The nestlings do not evict the eggs of the host from the nest. There exists great enmity between these bids and crows and the latter can often be seen chasing the former. 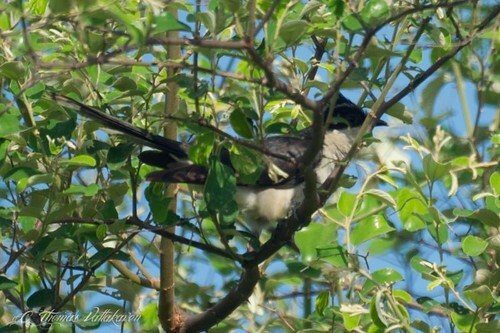 Other Details: One bird seen on the same tree with an Asian Koel, feeding on hairy caterpillars. It did not seem to mind me until I got too close.